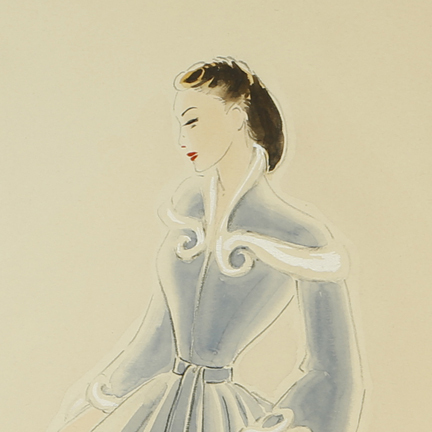 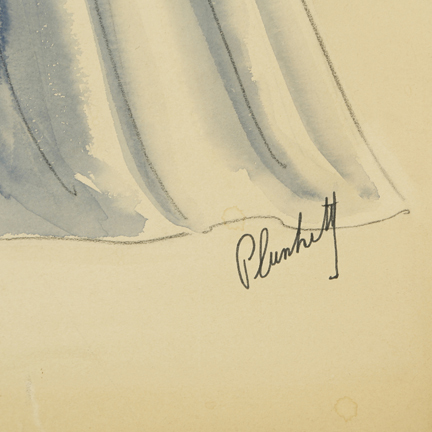 A mixed media on board costume rendering of a woman in a blue period gown signed "Plunkett." 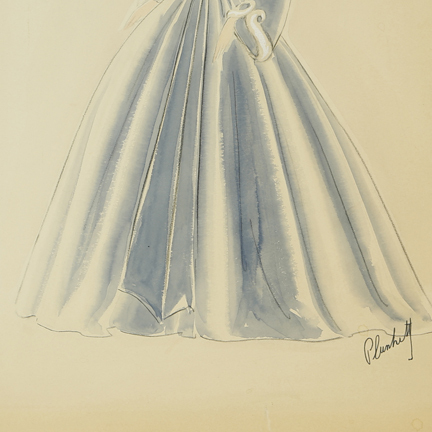 This sketch was created for an unknown actress in an unidentified production. 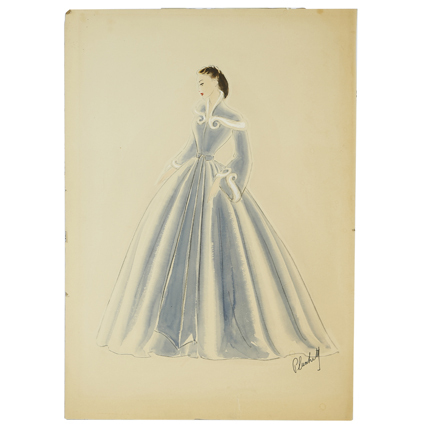 In good production used condition and acompanied by a letter of authenticity from the costume house.